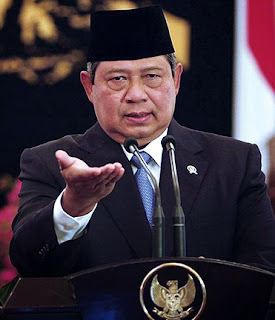 Indonesian president Susilo Bambang Yudhoyono has responded to a letter from Prime Minister Tony Abbott about spying allegations by demanding the Australian Government sign a new intelligence accord. In calling for calm on the issue, Mr Yudhoyono says bilateral cooperation on things like people smuggling will not resume until Australia signs up to behavioural protocols and a code of ethics. His comments come three days after receiving the letter from Mr Abbott, in which he says the Australian PM promised to never again hurt relations between the countries. "[It's] the commitment of the Prime Minister of Australia that Australia will never do anything in the future that will bring disadvantage and disturb Indonesia," he said. 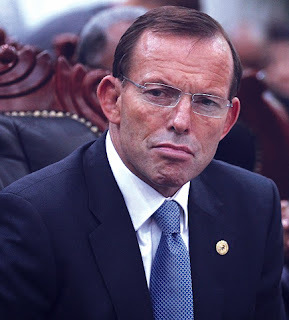 But Mr Yudhoyono says there are some things Mr Abbott has not completely clarified - although he did not go into detail. Mr Yudhoyono made the announcement, flanked by his deputy, the country's security minister and the head of national intelligence. "I have invited them to discuss the content of this letter, to determine the kind of next steps that are appropriate and that is necessary to be taken by Indonesia," he said. 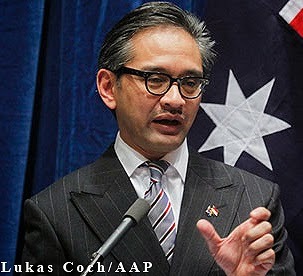 He says the new codes will be negotiated between the Australian and Indonesian governments and signed by both leaders. "I will assign the minister of foreign affairs or special envoy to further and seriously discuss sensitive issues, including the bilateral relationship between Indonesia and Australia after the tapping," he said at the specially convened meeting last night. "For me, a requirement and a stepping stone [is] the bilateral cooperation protocol that I suggested and [that] has been agreed on by the Prime Minister of Australia. "[After] Indonesia has gained back its trust to Australia, and after those codes and protocol have been properly executed, then in my opinion the bilateral cooperation that clearly is mutually beneficial shall continue, including military and police cooperation." Mr Yudhoyono says Mr Abbott has agreed to the idea of a code of ethics, but the president wants a public commitment. "I will check the draft myself, whether it's been done properly and answered all the wishes of Indonesia, after the tapping that occurred," he said. "After the protocols and ethical codes have been approved I would like to have the signing of the codes be done by the heads of states, I as the president and Prime Minister Abbott as Prime Minister." In a surprise move, Mr Yudhoyono also said his foreign minister would summon the ambassadors of Singapore and South Korea over reports their governments had helped Australia with spying. "The word is they helped Australia and the USA to tap other countries from under the ocean," he said. "It's not specifically Indonesia, but Asia. On that I've instructed the foreign minister to seek explanations from the ambassadors of those countries." Former Army chief Peter Leahy hand-delivered the letter from Mr Abbott on Saturday, a move the Government labelled a sign of respect, and a presidential spokesman earlier on Tuesday said the letter was "in accordance to our expectations". The president's comments are likely to be welcomed by the Abbott Government, which has come under increasing criticism over its handling of the situation. 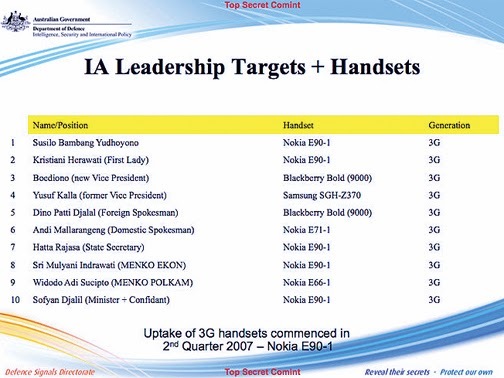 The diplomatic rift erupted following revelations that in 2009 Australian spies tapped Mr Yudhoyono's phone and the phones of those in his inner circle, including his wife's. An angry Mr Yudhoyono last week said all military and intelligence cooperation with Australia was on hold until he received a proper explanation. The issue has also begun to impact on Australian commercial interests in the country. Indonesia is a major importer of Australian wheat, live cattle and beef, while Australia is Indonesia's 10th largest export market. On Tuesday Indonesia's trade minister Gita Wirjawan announced his country was considering cutting Australian beef imports in the wake of the revelations. Last week he asked parliament to start looking at whether legislation can be adjusted to allow Indonesia to import beef from other countries instead of Australia. Mr Wirjawan, who was relaxed and at times jovial as he spoke to reporters, says the spying issue is an unfortunate issue that has damaged trust. Likening Australia and Indonesia to a married couple, Mr Wirjawan added that he is not speaking about divorce, and that the relationship can be restored. Shortly before Mr Yudhoyono's address last night, Foreign Minister Julie Bishop said in Sydney the damage was obvious. "We're working very hard behind the scenes. We're doing a lot to ensure that the relationship will remain one of our most important priorities," she said. "I'm not going go into detail about the negotiations, the discussions, the letter. I don't think that's helpful. 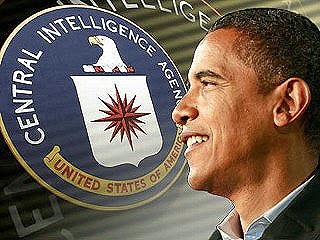 I think quite enough damage has been done as a result of the Snowden leaks. So we are working hard." 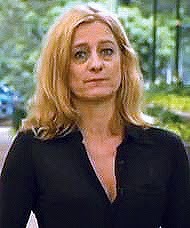 Mr Yudhoyono's foreign affairs adviser says it could take a month or two to restart cooperation between the countries. Meanwhile, Papua New Guinea's government has called in the Australian High Commissioner to ease concerns over the spying rift between Australia and Indonesia. High Commissioner Deborah Stokes has attended two government meetings in Port Moresby in the past two weeks. It is understood PNG foreign minister Rimbink Pato sought assurances that the regional spying row would not be detrimental to relations with PNG.